Manufacturing and exporting high quality water based eco - friendly wall paints and coatings. Manufacturers & exporters of medical equipments, paints, textiles. Manufacturer and exporters of paints. Exporters of specialty paint, primers and enamels like fire retardant paint, paint primer, underboady coatings, thinners, synthetic enamel. Manufacturer and wholesale supplier of oil/decorative paintings. Manufacturing & supplying of paints. Manufacture, export and supply of powder coating like epoxy polyester powder, pure polyester powder. Manufacture aqueous pigment dispersions like Inks, paints, coatings & agriculture. Manufacturers & exporters of paints, enamels and varnishes. Dealers and retailers of paints. Exporter of paint industries by popular minerals in rajasthan, india. 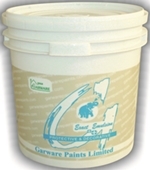 We offer Garware Paints Exact Emulsion etc. Manufacturer, supplier of a comprehensive range of coatings for diverse industrial and commercial purposes. Manufacturing & supplying of paint. We manufacture & suppliers of epoxy, polyurethane, solvent free, high build, food grade, transformer system, intumescent coating, polyurea, elastomeric polyurethane, glass flake solvent free, transformer system is:12944, heat resistant, anit carbonation coating, cool roof coating, elastomeric coating, enamel, chlorinated paint, self priming epoxy, epoxy flooring, polyurethane flooring, hot water washable flooring, decorative flooring, epoxy coating, pu coatings, anti static flooring, and more. Magnum & Co bitumen, waterproofing products, acid resistant materials, paints, sealants, coatings, epoxy, etc. Star Cool Shield�is the revolutionary field proven Eco friendly heat reflective�& insulating cool coating. Buy Building & Construction Materials Online at Best Price In Hyderabad, India.We Offer All Types Of Building / Construction Products. Get Free Shipping & COD. 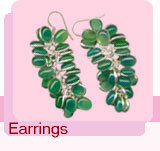 Khushboo Scientific Pvt. Ltd. are engaged in supplying of oil, petroleum, testing instruments, paints, powder & varnishes, printing ink, scientific instruments, etc. Exporters and Suppliers of painting rollers,brushes, decorative rollers, paint trays, other items related to painting work. We supply branded Power Tools, Hand Tools and Carpenter Tools. We are supplier of superior quality Plaster of Paris and Gypsum Plaster. We also deal with Door fitting goods, Agricultural tools, nails & iron wire, Nuts and Bolts & House decor Wallpapers. Manufacturers and exporters of complete cement equipment, crushing equipment, powder equipment, sand-making equipment. Henan Oriental (group) Co., Ltd. Exporters and suppliers of wit coat aluminum paints, heat resistant aluminum paints, heat resistant paints, protection paints, chloride rubber paint, anti fouling paint red, red oxide primer, paint removers, diamond effect glitter spray, acrylic paints, enamel paints, synthetic paints, synthetic enamel paints. Manufacturers and exporters of bentonite powder, plaster of paris, alpha and beta hemihydrate both gypsum, crepe bandage, elastic adhesive bandage, plaster of paris bandage, plaster of paris, hydrated lime, calcium sulphate, barytes, bentonite lumps, thiners, varnishes etc.